Even though the island of Capri looks small in size, it still offers an array of interesting trekking and walking trails that lead you to stunning and remote scenery, away from the bustling crowd of the more touristy locations. So, explore on foot the natural areas of Capri and enjoy the most hidden and breathtaking corners of this magical island! This walk covers the South-East coast of Capri, with stunning views of natural geological formations such as the “Arco Naturale” (Natural arch, a rock naturally cut out in the shape of an arch, surrounded by lush vegetation and overlooking the sea), the “Matermania grotto” and the famous “Faraglioni rocks”. Along the walk it is possible to see the famous “Villa Malaparte”, a red villa with a unique architectural style standing on top of a promontory, owned by the Italian writer Curzio Malaparte. The walk ends at the Garden of Augustus, a blooming garden from where you can enjoy the best view of the Faraglioni rocks and of the most famous winding road in the world, “Via Krupp”. This trek stretches along the West coast of Capri, from Punta del Miglio to Punta Carena, across Capri’s most unspoiled countryside. 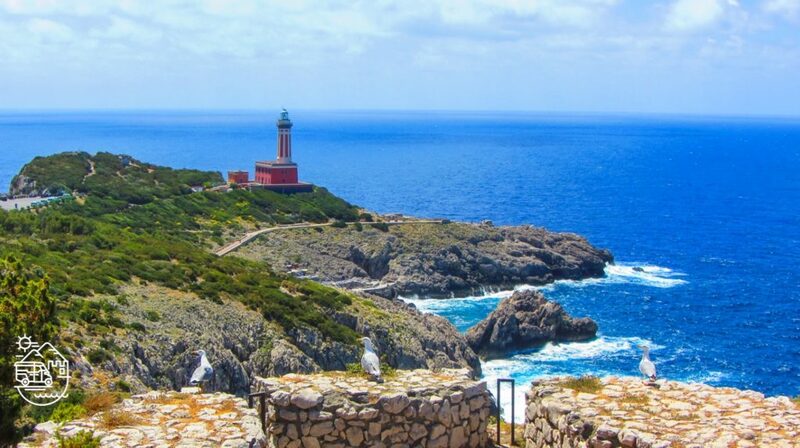 Along the trek you will see the ruins of three ancient forts ( named Orrico, Mesola and Pino) that were originally built to defend the island from the invasions of pirates in the Middle Ages. 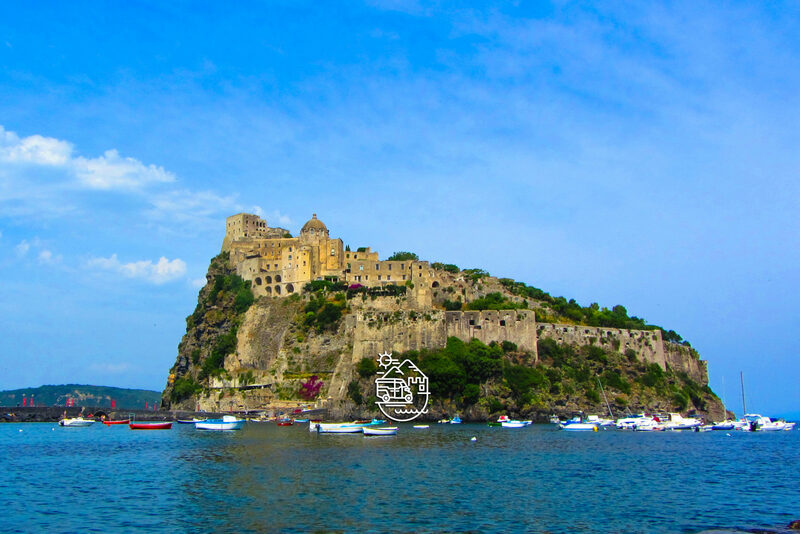 These forts played an important role during the Napoleonic wars, at the beginning of the 1800’s, when the island of Capri was the site of a battle between the English and the French for the control of the Mediterranean. This walk starts from the centre of Anacapri and it winds its way for 2 kms towards the South-West coast of the island, among vineyards and green fields. At the end of the path, the “Belvedere del Tuono” (Thunder’s viewpoint), is one of the most beautiful panoramic points in Capri, with spectacular views of the “Faraglioni rocks”, the lighthouse of Punta Carena and the vast blue expanse of the Mediterranean. Nearby in the Belvedere del Tuono, take some time out at the Parco Filosofico( Philosophical Park). What better way to finish your trek than pausing for a few moments to read and digest some famous quotes and aphorisms of the major philosophers of all time , against the backdrop of some of the most stunning scenery imaginable.